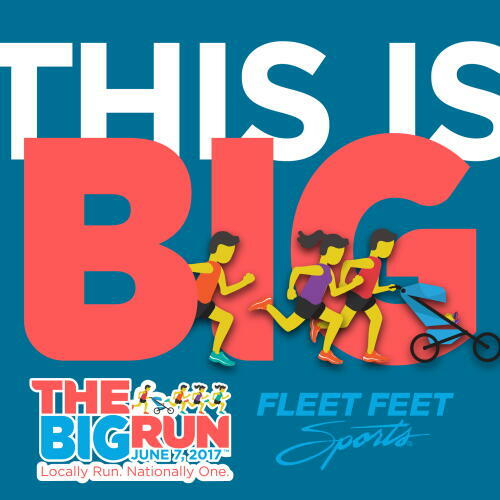 JOIN US WEDNESDAY - JUNE 6th - FOR THE BIG RUN! June 6th is Global Running Day and we want to celebrate with YOU! Over 40 Fleet Feet Sports stores nationwide will be hosting a 5k, and ours happens to fall on a Weekly Back Cove 5K Series Wednesday! For all 250 people who participate in our second Back Cove 5K will receive a special "Big Run" t-shirt and an all-access pass to our after-party! We will have beer, food, games, music and more! Bring your families and friends to the party starting at 6:30! All are welcome to come and celebrate the activity that unifies us all! All regular rules and recommendations for the Weekly Back Cove 5K Series will apply to this race. To see the rules and registration details, click here!